Come stay at the new Hailey Airport Inn and experience small town hospitality at its best! Enjoy our large and fully remodeled rooms. 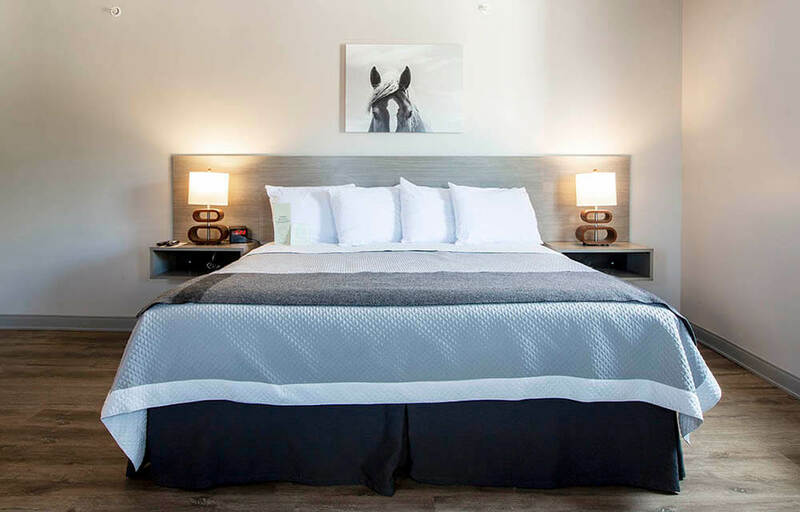 All rooms have large flat screen TV's, upgraded hi-speed internet access throughout the property, new bedding, furniture, fixtures, paint and flooring. All rooms also have A/C for the hot summer days, mini refrigerators, coffee makers and hair dryers. 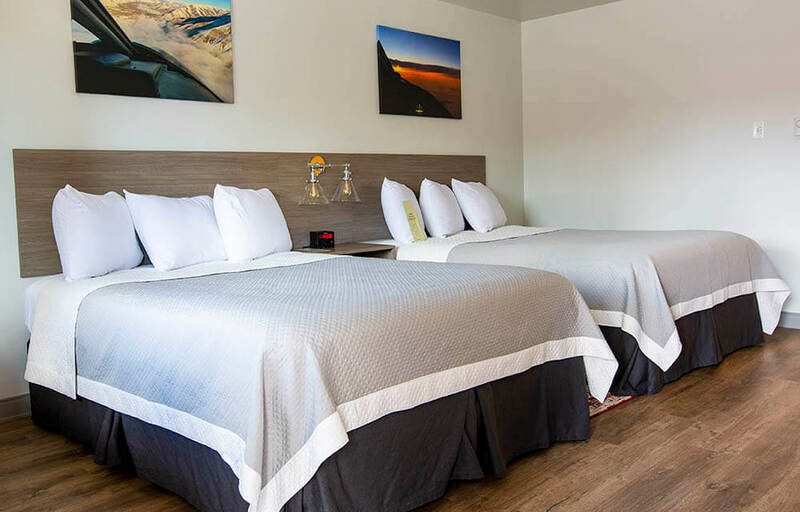 The Hailey Airport Inn is fantastically located very close to downtown Hailey and directly on the world famous Wood River rails to trails path. Bike all the way to Ketchum/Sun Valley in the summer and cross country ski right out your door in the winter. After a long day exploring the area you can relax in our new outdoor hot tub area or enjoy a drink and making smores by our new firepit. We are less than 5 minutes from the airport and have a complimentary shuttle for transportation to and from the airport. Relax in our over-sized King Room. 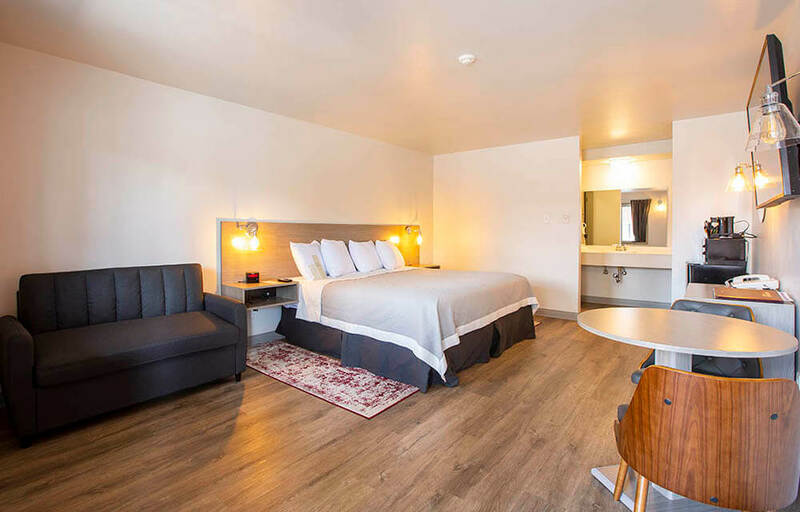 All King rooms have 55″ flat screen HD TV’s, premium bedding, large bathrooms and a great cozy feel.